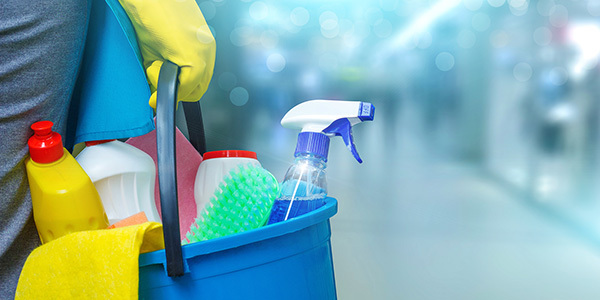 It’s Time to Clean up Those Vendor Files! It’s the new year. Out with the old, and in with the new! It’s a great time for making resolutions, planning for the future – and of course, taking a look at your vendor files and doing some cleanup. We know that with all the records and documentation and updates and outdated information, those files can get pretty messy. But with increasing attempts at fraud, not to mention sometimes limited storage space, it’s imperative to keep your vendor files updated and easily accessible. So go on and clean up those files. We’ll wait. All good? Great. Now let’s talk about how to avoid doing all that cleanup next time! Using vendor management tools within your AP automation solution can save you a lot of time and headaches. These types of tools allow you to grant employees and vendors the ability to collect data for new vendor onboarding, upload critical documentation, like tax forms, and make key information updates with a set approval process for control. You can use a simple, common sense user interface to efficiently request and approve the setup of a new vendor. Automated workflow based on your defined rules ensures control and guarantees consistent vendor master data. The request form is tailored to your needs and is routed using email for approvals. Timed escalations prevent unnecessary delays, while the in-process requests are available for retrieval and audits at any time. Using this tool, you’ll have increased visibility into the entire vendor approval process. Employees and vendors can submit new vendor requests, upload documents such as W-9s, and make record edits without using expensive ERP licenses or routing paper for data entry. And speaking of ERPs, you can expect compliance with your standards for vendor naming conventions with requester guidance. No more formatting and reformatting to maintain consistency, helping to minimize human errors and the inadvertent creation of duplicate vendor records. All data captured is securely stored and encrypted at rest and in transit. Data can be automatically transferred in to your ERP or financial system – eliminating the need for additional entry into multiple systems. Do we have you convinced? We hope so! Now, the most important question: What will you do with all that extra time on your hands? Ready to avoid the headache of cleaning up your vendor files in the future? Contact us.